Proudly will for the first time, be presenting their brand new products VOID and WALLOP in Salone Satellite, during Milan furniture fair 16th to 21st of april 2008.Untill then..I’m just reminding you two of my favourite designs by Anna Sellgren & Linda Alexandersson, two swedish girls that have many reasons to be proud of! 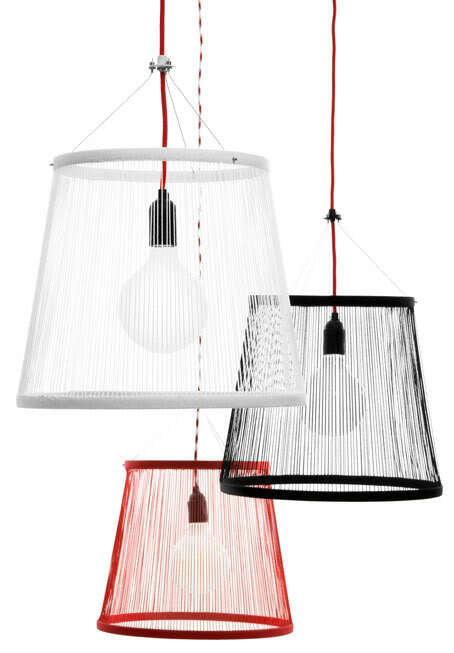 Bucket Lamp was displayed at Stockholm Furniture Fair 7th to 11th of February 2007 based on the theme “Hanging of a red thread”. Produced by Eli i Gnosjö AB. 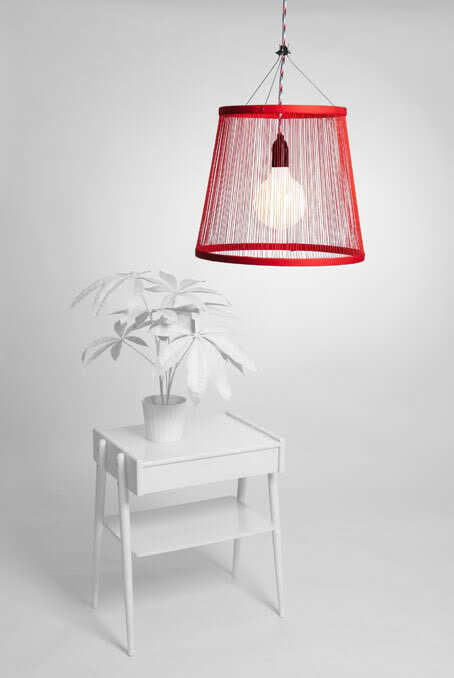 Bucket Lamp is an armature for private as well as public environment. The design and materials such as metal and treads of textile, makes the armature active. When set in motion by a breeze or by a touch of the hand, it moves – or dances! Bucket Lamp is available in the colours; red, white and black. You can buy Bucket Lamp at www.designonline.se for approx.1800 sek (Swedish crowns). 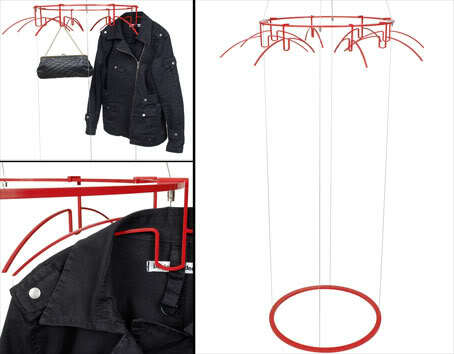 Gloria is a hanger considered for private and public surroundings. With its shape and design it provides the illusion of a hovercraft, resting above ground. The idea is based on Gloria hanging from the ceiling, enabling the weight from the metal rings to provide the weight holding up the wire construction. The hangers have a U-shaped detail intended for the safekeeping of handbags, scarfs and umbrellas. Gloria is made entirely of metal.